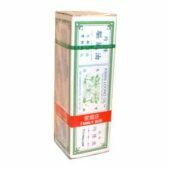 White Flower Oil - 20ml | Wing Ming Herbs, Inc.
White Flower Analgesic Oil (also called Pak Fah Yeow) is made from a traditional blend of aromatic herbs such as lavender and mint, which heal headaches and minor pains made worse from poor circulation or inclement weather. 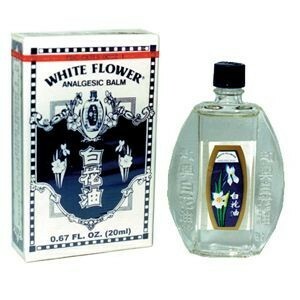 White Flower Analgesic oil can be inhaled to help clear sinus congestion. Moves qi, invigorates blood, dredges and opens the channels and collaterals, relives pain. 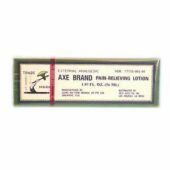 Use as a topical liniment for wind cold damp bi syndrome causing stiffness, poor circulation, or sore muscles. It can be applied to joints and lower back. 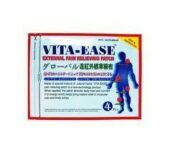 Also useful for dispelling blood stasis in traumatic injury and swelling. 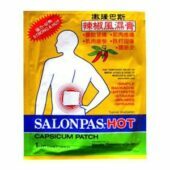 Use for rheumatism, arthritis, neuralgia, lumbar pain, bruises, and traumatic swellings. Can be used as a liniment for tui na massage, and to relieve nasal congestion and headache. It can also be applied topically to the temples to relieve headache, and to the sides of the nose to relieve nasal congestion. For headaches, apply with clean cotton to temples, forehead, neck, top of the head, or any painful area while carefully avoiding the eyes, mucus membranes, sensitive tissue or broken skin. For sinus headaches, inhale White Flower Analgesic holding the bottle a few inches from the nose or apply one drop under the nose with a cotton swab. 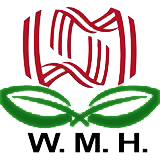 Wintergreen 40%, Menthol 15% and Camphor 6%. Eucalyptus 18%, Peppermint 15% and Lavender 6%. 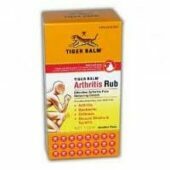 Tiger Balm Arthritis Rub ..
E Mei Shan Medicated Plas..
Cupping Set – 19 cu..